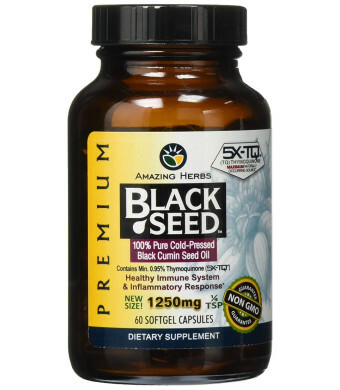 Each 1250mg Black Seed Oil MEGA-GELS soft gel is equivalent to 1/4 teaspoon of oil. Black Seed oil is rich source of unsaturated essential fatty acids (EFA's) and offer many nutritional benefits for good health. 60 Soft gels - Each 1250mg Black Seed Oil MEGA-GELS soft gel is equivalent to 1/4 teaspoon of oil. Black Seed oil is rich source of unsaturated essential fatty acids (EFA's) and offer many nutritional benefits for good health. One (1) soft gel twice daily or as directed by a physician. Four (4) of the 1250mg soft gels are equivalent to One (1) teaspoon. 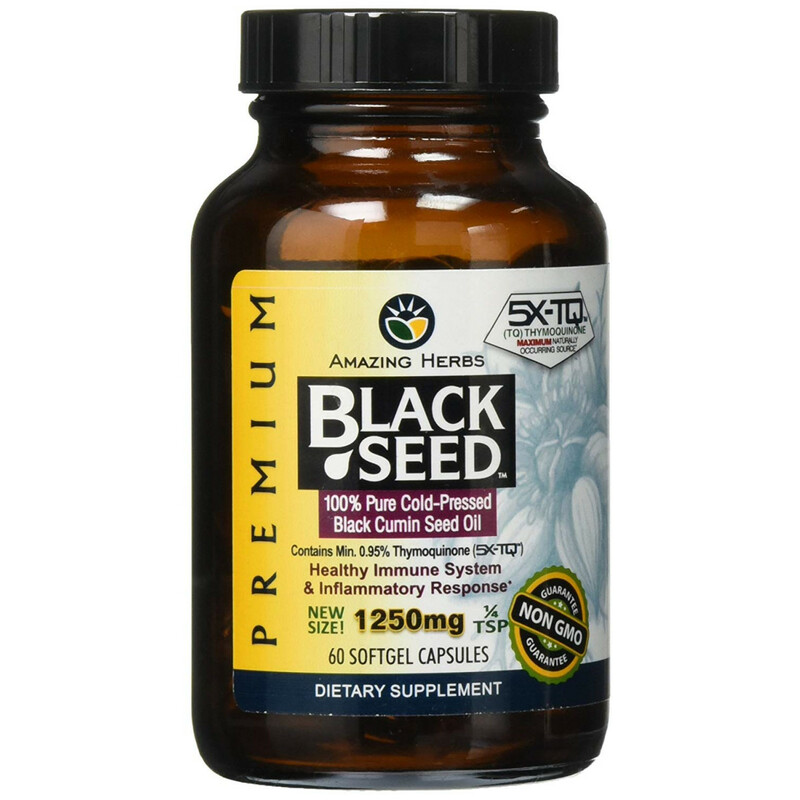 Is Amazing Herbs Premium Black Seed Oil the right supplement for you? Amazing Herbs Premium Black Seed Oil is a rich source of EFA's and anti-oxidants. It offers a promising alternative remedy to help combat age-related disorders and restore a youthful and optimum inflammatory balance and immune system response. Only nutraceutical on the market that is tested and verified by a third party lab to contain the highest percentage of naturally occurring thymoquinone (TQ).